Kenny practices in the areas of workers’ compensation law and disability retirement law. He is certified by the State Bar of California as a specialist in workers’ compensation law, has been recognized as a Rising Star by Super Lawyers each year since 2010, and has a “Superb” 10.0 rating by Avvo. He is the immediate past chair of the State Bar of California’s Workers’ Compensation Executive Committee, and also serves on the Board of Representatives of the California Lawyers Association, the second largest voluntary association of attorneys in the country. Kenny lectures extensively on the topics of workers’ compensation law and disability retirement law. He is a contributing author and editor for the California WCAB Noteworthy Decisions Reporter published by LexisNexis, the California Workers’ Compensation Practice Guide published by Continuing Education of the Bar (CEB) and the Employment Litigation Practice Guide published by the Rutter Group. He additionally serves as an editorial board member for Mathew Bender & Company, Inc., a volunteer staff attorney for Legal Aid at Work, and a volunteer coach for the UC Hastings Center for Negotiation and Dispute Resolution. Kenny obtained his juris doctor from the University of California, Hastings College of the Law in 2003. 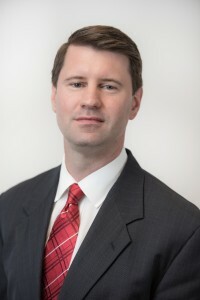 While at Hastings, Kenny was an editor for the Constitutional Law Quarterly, and was also a judicial extern for the Honorable Martin J. Jenkins, formerly of the United States District Court. In his spare time, Kenny volunteers as a puppy raiser for Guide Dogs for the Blind. He is currently raising his twelfth guide dog puppy, a Black Labrador named Geode.